Looking for a unique experience? Visit the reintroduced white rhinos at Ziwa Rhino Sanctuary. Have an early morning game drive in Murchison Falls National Park to find the rare Rothschild’s giraffe and the fastest monkey in Africa, the patas monkey. Relax during an afternoon boat trip to the mighty Murchison Falls. Enjoy a walk through Bigodi Swamp and see wild chimpanzees in Kibale Forest during an exciting chimp walk. 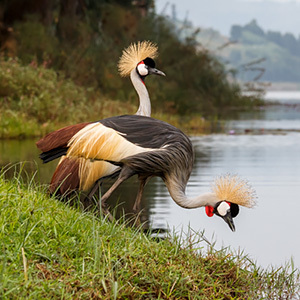 Observe African fish eagles during the Kazinga Channel boat trip and look for the seldom seen giant forest hog and leopard while having a game drive in the late afternoon in Queen Elizabeth NP. 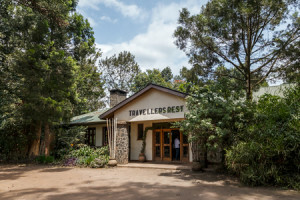 Have a unique close encounter with mountain gorillas during gorilla tracking in Bwindi Impenetrable National park and choose for a relaxing day in Travellers Rest in Kisoro or… climb the three peaks of Mount Sabinyo in Mgahinga Gorilla National Park.